The following is from the presentation by motorcycle police officers Ben Albright and Clay Kitchens at our August 2015 meeting. 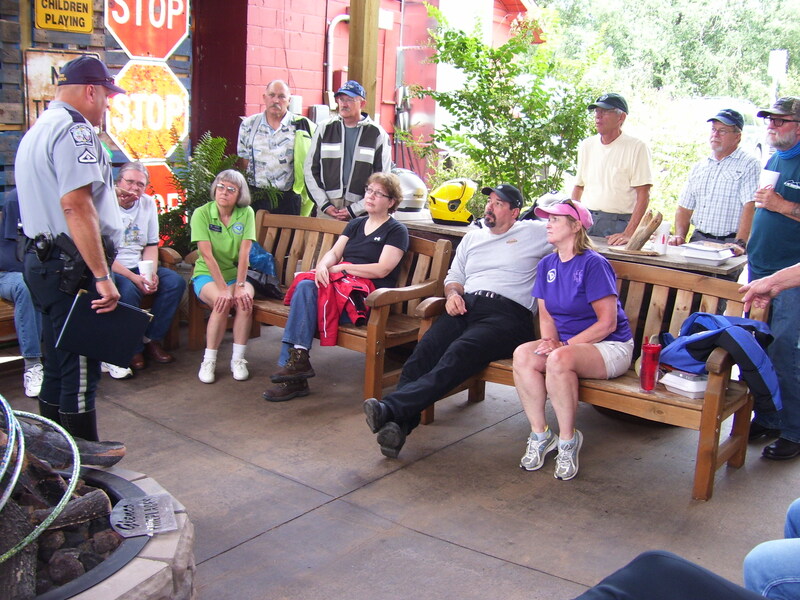 The presentation on motorcycle safety in South Carolina was excellent in content and delivery. Here are some of the highlights. There are over 8 million motorcycles registered in the United States. Motorcycle fatalities represent approximately 11 percent of all highway fatalities each year, yet motorcycles represent approximately 3 percent of all registered vehicles in the United States. Approximately 80 percent of reported motorcycle crashes result in injury or death; a comparable figure for automobiles is about 20 percent. In motorcycle crashes, 25% are unlicensed or improperly licensed and approximately one-half are alcohol related. Per mile traveled in 2013, the number of deaths on motorcycles was more than 26 times the number in cars. Fatalities in 2013 were more than double those in 1997. Single-vehicle crashes: Nearly half of all motorcycle driver deaths involve just the motorcycle and no other vehicle. Twenty-two percent of motorcycles involved in fatal crashes collided with fixed objects, compared with 16 percent of passenger vehicles in fatal crashes. Forty-six percent of the motorcycle drivers killed in single-vehicle crashes were speeding and (in South Carolina) 41 percent had blood alcohol concentrations of 0.08 percent or higher (compared to the national average of 29%). 52% of fatal motorcycle crashes involved another type of motor vehicle in transport. 75% of the motorcycles involved in motor vehicle traffic crashes collided with the vehicles in front of them. Only 7 percent were struck in the rear. Forty-four percent of two-vehicle fatal motorcycle crashes involved a vehicle turning left while the motorcycle was going straight, passing or overtaking the vehicle. Recognize that riding a motorcycle is inherently riskier than driving a car. A helmet is the most important piece of motorcycle safety equipment. Wearing a helmet reduces the risk of dying in a crash by 37 percent. Unhelmeted riders are 3 times more likely than helmeted ones to sustain traumatic brain injuries in the event of a crash. 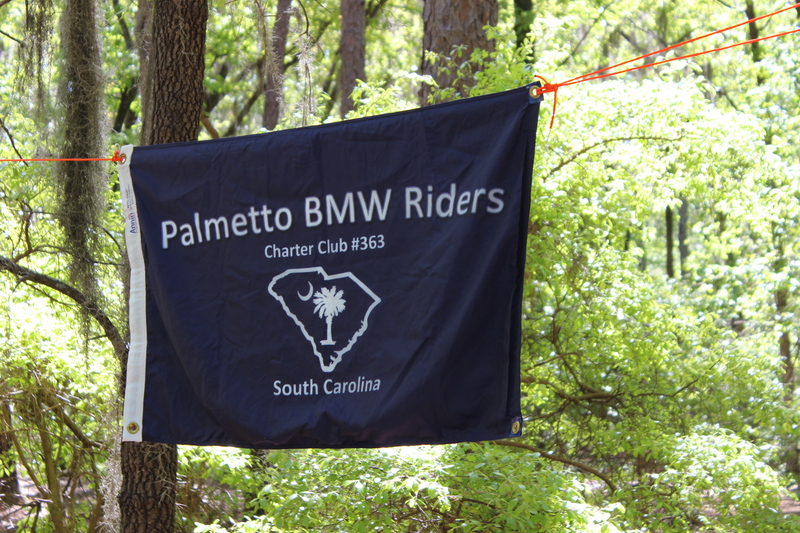 In South Carolina, in 2012, there were a total of 146 motorcyclists killed. Thirty percent were helmeted, the other 70 percent were not. An antilock braking system (ABS) reduces the risk of a motorcycle crash. The rate of fatal crashes is 31 percent lower for motorcycles equipped with optional antilock brakes than for the same models without them. Recognize that some kinds of motorcycles are riskier than others. Sport motorcycles have death rates about 4 times as high as that of cruisers or standards. Be especially alert at intersections because approximately 50 percent of motorcycle-vehicle collisions occur there. Check the rearview mirrors before changing lanes or stopping. Watch the road surface and traffic ahead to anticipate problems and road hazards. Assume that you are invisible to other motorists and operate your motorcycle accordingly. Position yourself to be seen. Ride in the portion of the lane where it is most likely that you will be seen by other motorists. Avoid the car’s “No Zone” (i.e., blind spot). Wear brightly colored, preferably fluorescent, clothing. Use retro-reflective materials on clothing and motorcycle, especially at night. Maintain a safe speed consistent with drive conditions and your capabilities. When riding in the rain, avoid following too closely and riding on painted lines and metal surfaces such as manhole covers because they offer less traction. WHERE ARE YOUR EMERGENCY CONTACTS? One place to keep your emergency contacts are in your phone. However, in a crash your phone may be damaged or lost. South Carolina residents can have their emergency information on their SCDMV record if they have a driver’s license, beginner’s permit or a state issued identification card. If you are in an accident or have a medical emergency law enforcement can access your information. You can sign up for this online here. IS YOUR 1999 or LATER BMW MOTORCYCLE BEING RECALLED? Finding out whether your BMW motorcycle is on the recall list doesn’t get any easier than grabbing your registration and punching in your VIN “here”. This checklist is used to do a safety check on your motorcycle. Everyone uses their motorcycle different so how often you should do a check is debatable. Print it off and do a check as soon as possible on all your motorcycles. Another time to use it is when buying a used motorcycle. The three big questions when you buy a motorcycle are probably, “what year, how many miles and how much”. This form will help you make a better informed decision on whether to buy that “in excellent condition” motorcycle. Share your experiences with your club members. If you are going to a motorcycle event that you think your club members may be interested please submit them to our website. While you are at events like the national rally and you have the capability it would be great if you could send an update report with photos. Of course you can also submit when you get home. If you have photos of any of our past events you may submit them and let us know from which event.